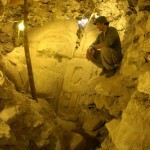 Cival is an ancient Maya city in northeastern Peten, located 7 km north of the ancient city of Holmul. It owes its name to a sinkhole near its main hill. 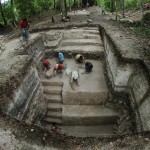 The ancient Maya city of Holmul (17 18′ 14.792″ N, 89 15′ 29.264 W) is located on an upland ridge where the Holmul River turns from an easterly course north towards the Bay of Chetumal. It was first settled around 1000 BC.